For as long as I can remember, our Tuesday night tradition has been trivia night at the Works at Wyomissing. Over the years, our team has undergone a lot of changes as old friends drift away and new ones arrive. With all of the changes that our team has been going through, it seemed like the right time to change up our Tuesday night routine and try something new. My friend Matt had suggested we check out Blind Hartman’s Tavern, where they host a Name That Tune trivia contest on Tuesday nights. If someone were to choose the location today, I doubt that it would be approved for a restaurant. 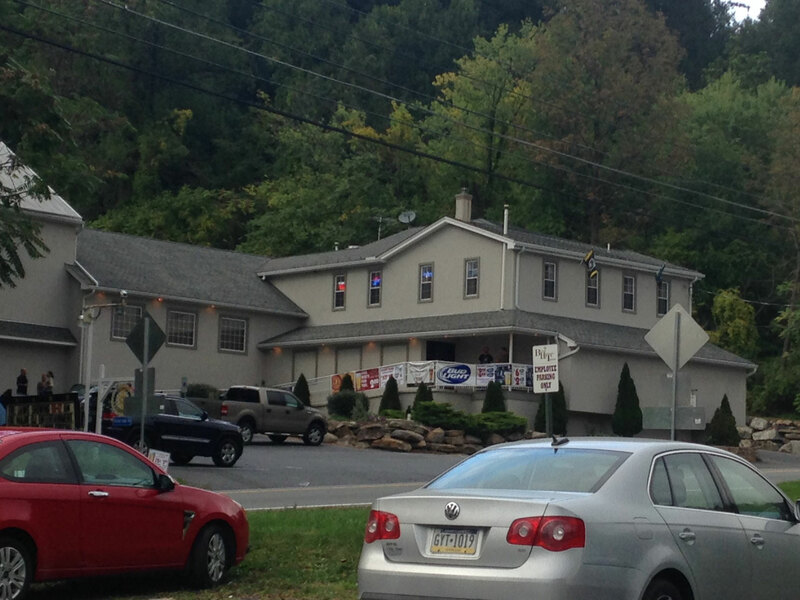 Blind Hartman’s sits on a busy stretch of Route 12, just north of the city line. When traffic lines up, it’s hard to make the left into the parking lot. The lot only has about 20 spaces. Overflow parking is across the street. As hard as it is to turn left across Route 12 in a car, it’s even harder to walk across. But Blind Hartman’s wasn’t built yesterday. A tavern was built on the spot in 1823 by a man named Joseph Hartman, who had been blinded in a childhood accident, giving the tavern its name. I really didn’t know what to expect going in, but I certainly didn’t expect the mustached mannequin looking out over the bar from the second floor. I also didn’t expect such an expansive bar room, with a large center bar stocked with bottles of every spirit you could name. The menu was also bigger than expected with nearly 20 different appetizers — double that if you count each of the 18 wing flavors. But what intrigued me was one of Blind Hartman’s “home-style favorites,” the chicken and gravy. As it turns out, the portions were just as big as everything else. My plate was filled with four breaded chicken breasts (and the obligatory vegetable medley so I could feel better about myself). 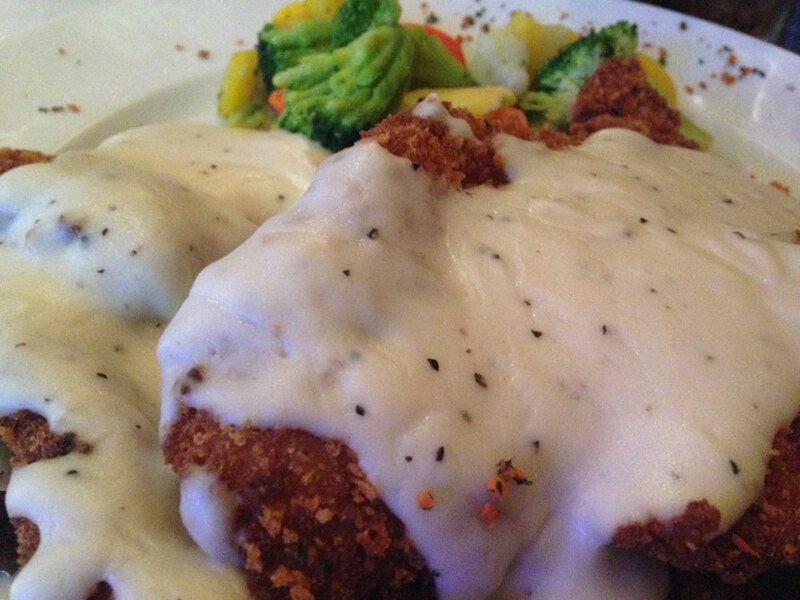 The chicken breasts had a nice, golden-brown breading and plenty of white gravy to go with every bite. It was heavy and hearty, so much so that half of it went home with me. Part of the reason for my full stomach was the side of fries, so many that they came on the side in a large bowl. 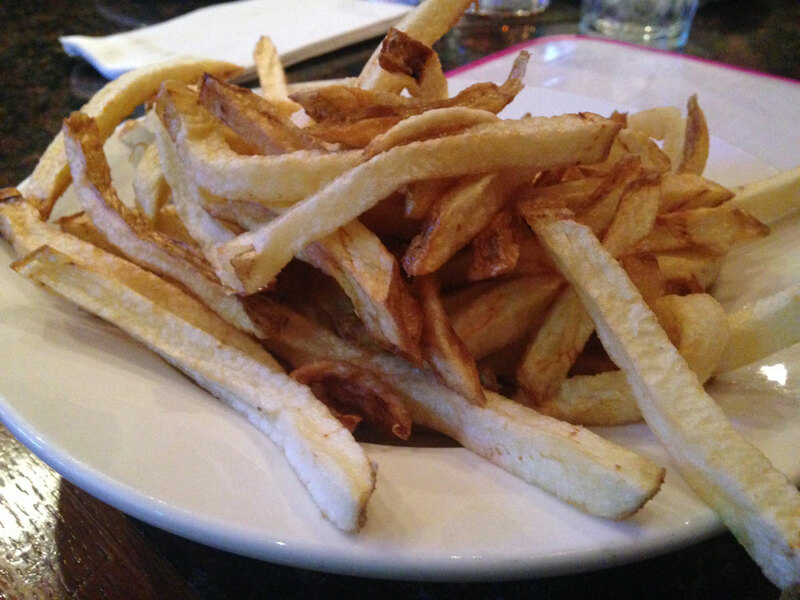 The fries were my favorite part of the meal, thin and fresh-cut with just a little too much salt. My chicken went home with me because I wasn’t leaving any fries behind. 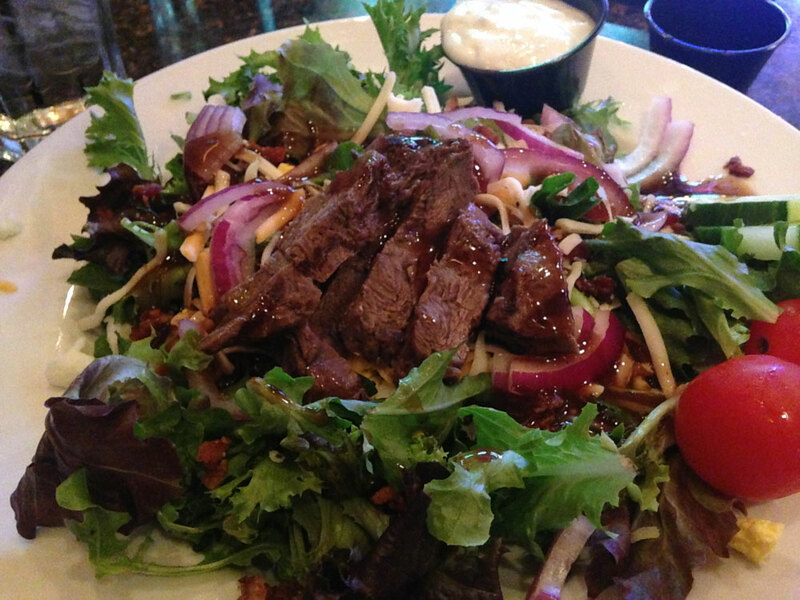 As the name suggests, her salad was topped with strips of steak and drizzled with balsamic vinaigrette. The bleu cheese, served on the side, is expected with a steak salad. But the balsamic was a nice addition, giving it more of the feel of a salad. Tuesday night is also “Frankenburger” night at the Tavern. For $7.99, you can build-your-own burger, starting with a half-pound patty. Matt seemed to enjoy his creation, but I’ll have to wait for another night, myself. The fourth member of trivia team, Christina, is a vegetarian. For her, the options were much more limited. She opted for the Caesar salad and left a little disappointed by the dressing, which wasn’t laid on as thick as she had hoped. Overall, it was a good night out, and a great change of pace. We even finished second in one of the two rounds (the $5 gift card was a nice bonus). And for Julie and I, we spent about $37 for our food — a lot of food. Though I wouldn’t say we are going to make Blind Hartman’s our new Tuesday night home, I’m sure we will be back. And when we return, we’ll be sure to bring our appetites.